To have one baby in the studio at a time is hard. Even when things are at the absolute best. The timing must be just right, baby must be eating well. Even when moms prep work pays off, and your baby is as full as she can be. 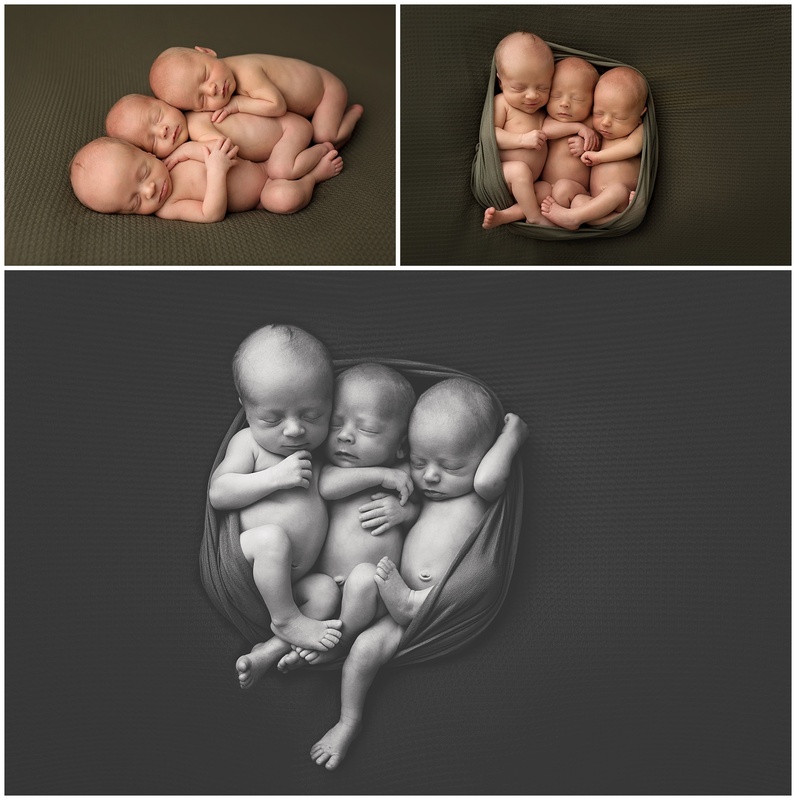 A newborn session is A LOT of work…. The day of these boy’s session I had a plan in my head of how everything was going to go. And unlike most every session, it went perfect. These three boys were the absolute best babies I could have hoped for, three perfect boys. But three perfect boys was not all I had this day. Big brother and big sister brought all of their love too. To make it even better. This family sure did make 2016 the most memorable for me. I still cannot believe all of these shots really happened!! Thank you so very much for sharing your babies with me and letting me capture these moments for you!